Check Weighing | Weighing ApplicationsZF Associates Co.
Over the last 35+ years, our supplier has specifically developed a range of load cells and instrumentation/electronics designed for accurate, high speed weight measurement and detection of over- or under-weight in check weighing applications. 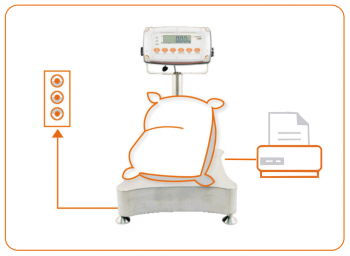 A check weigher is an automated system designed to check the weight of packaged commodities, to satisfy internal controls and external trade applications. They are usually found at the end of a production line in many industries, or in the despatch area ofeCommerce warehouses. 3 Isolated outputs to drive traffic lights or status lamps. The X320 is also combined with the XK, XS and XT scale bases.